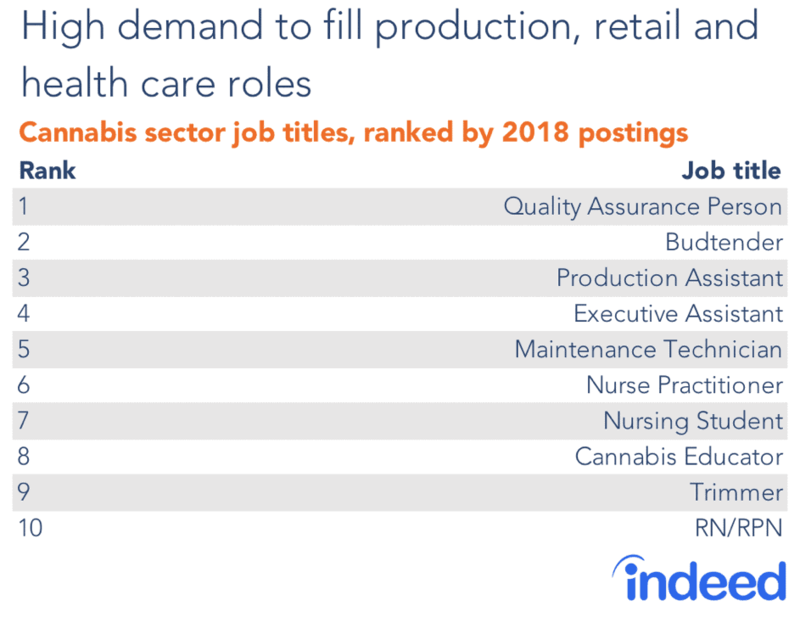 Indeed’s Hiring Lab has analyzed job search and posting data through mid-July to track both job-seeker interest in the cannabis industry as well as how employer hiring plans have evolved, including the types of roles cannabis companies are looking to fill. As of mid-July, cannabis-related searches on Indeed in Canada were four times higher than at the same point in 2017, when terms such as cannabis, marijuana and dispensary accounted for just six of every 10,000 Canadian searches. As of July 2018, their share was up to 26 per 10,000. Most of the increase in searches was driven by one word: cannabis. Last summer, about as many Canadian job seekers on Indeed looked up the word marijuana as cannabis. A year later, cannabis has outnumbered marijuana in searches more than five to one. Cannabis-related searches started climbing gradually in mid-2017 before jumping 50 percent at the start of 2018. This leap coincided with surging stock prices of several Canadian cannabis companies—and the media coverage which followed—raising the industry’s public profile. Searches remained at this high level through the first half of the year before jumping another 40 percent following the June 20 announcement of the marijuana legalization date of Oct. 17. To track employer demand for workers, Indeed tallied job postings from more than 150 companies in the industry that had a cannabis-related term in the job title and had posted at least one opening since July 2017. Overall, the cannabis industry’s share of total Canadian job posting activity is now 3.2 times higher than it was last July, rising from eight to 25 posts per every 10,000 job postings. Interestingly, cannabis job postings didn’t move much around the major headlines that spiked job seeker interest. 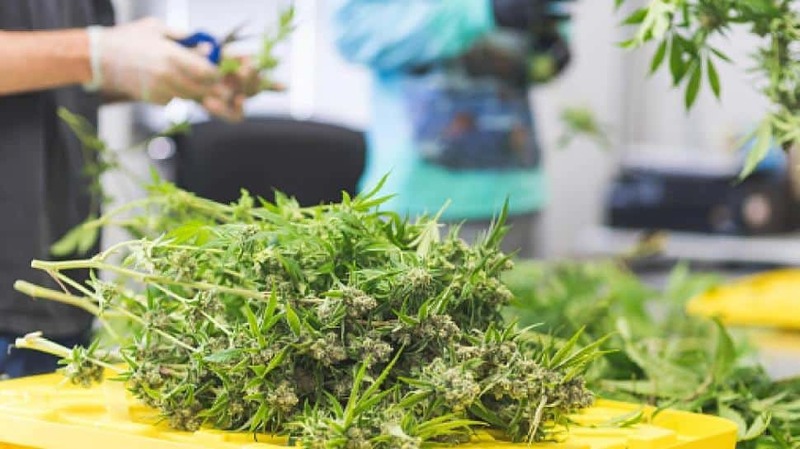 Cannabis-industry job postings had the most notable increase between April and early May this year, increasing 50 percent in just a few weeks. This could be related to the Senate’s provisional acceptance of Bill C-45 in late March, which was seen as one of the last major hurdles in the legislative process toward legalization. Canadian cannabis companies are posting a wide range of job types. The most in-demand jobs are for workers to grow the product and others to sell it. Three of the 10 jobs with the most vacancies in 2018 are involved in the production process such quality assurance person, production assistant and trimmer. Maintenance technician is the top production support role, while a maintenance plumber and sanitation technician also land in the top 25 jobs. 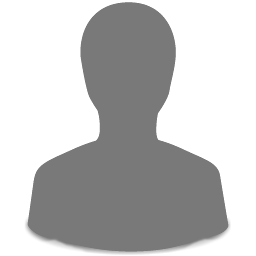 A retail position—“budtender”—ranks second within cannabis industry postings this year. A budtender is to pot what a barista is to coffee—and these workers will be behind the counter at either private dispensaries or publicly run stores, depending on the province. Some job openings in the industry have more familiar titles. For instance, an executive assistant is ranked fourth as a traditional white-collar role that is in highest demand. Finally, while medical marijuana is already established in Canada, clinics that prescribe cannabis are looking to fill nursing roles. 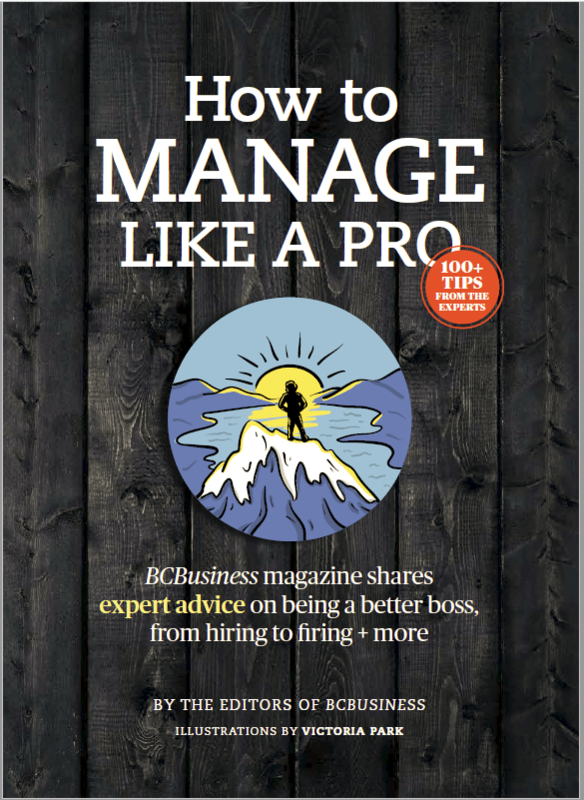 Job-seeker interest stands out in B.C. A look at Canada’s four largest provinces reveals discrepancies between regions where relative search activity is highest and where job openings are most concentrated. B.C. ranks at the top for relative job-seeker interest. Cannabis-related searches are 34 percent higher as a share of the province’s overall job-seeker activity than in second-ranked Alberta. In Ontario, cannabis-related searches account for slightly less than the province’s share of total Canadian searches, while job seekers in Quebec have shown relatively little interest. Ontario has the highest share of total postings from cannabis companies. Over half of the industry’s Canada-wide job openings are in Ontario, the location of the headquarters of several major cannabis industry players. The proportion of B.C postings from the cannabis sector is similar to the national average, while cannabis companies have been less active in Alberta and Quebec. 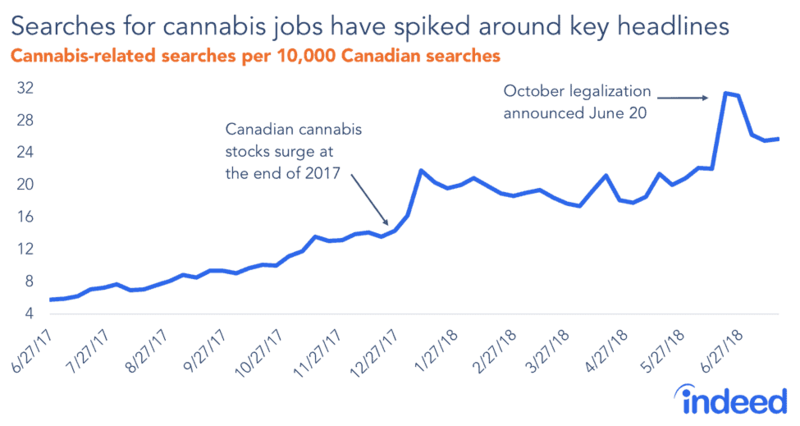 To measure cannabis-related search activity, we calculated the share of total Indeed job seeker searches in Canada that included one of five terms: cannabis, marijuana, dispensary, weed and budtender, measured weekly, starting in July 2017, and running through mid-July 2018.